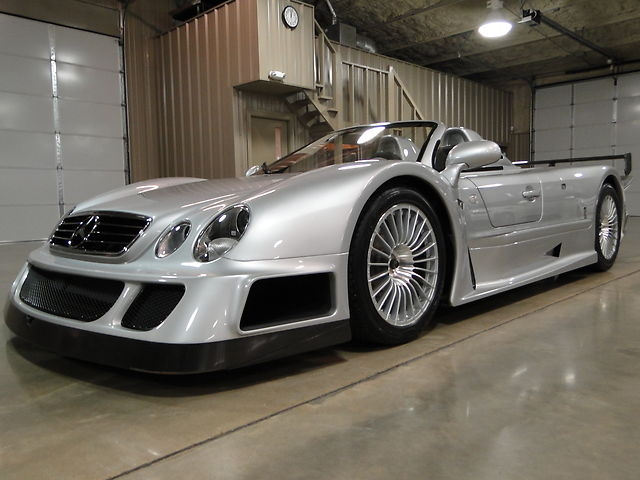 The Mercedes-Benz CLK GTR is one of the most outlandish road cars ever built. It was a byproduct of the FIA GT1 class homologation rules of the late-1990s that stated any car competing in the class must be available for purchase on the street. The class was cancelled for 1999, but Mercedes decided to build some road cars anyway. Between 1998 and 1999, 26 road cars were built (25 were promised by Mercedes with regards to the rules). This car is titled as a 2002, but was likely built in 1999 (at the time of construction, these were the most expensive cars in the world and moving them was no small feat). The cars use a 6.9-liter V-12 making 604 horsepower and could hit 60 mph in 3.8 seconds on their way to a top speed of 199 mph. The final six cars were built sans roof. This is the third roadster constructed (and the one most often seen for sale). A solid million dollars isn’t out of the question by any means for this ultra-limited edition supercar. You can read more here and check out the rest of RKMCCA’s auction lineup here.